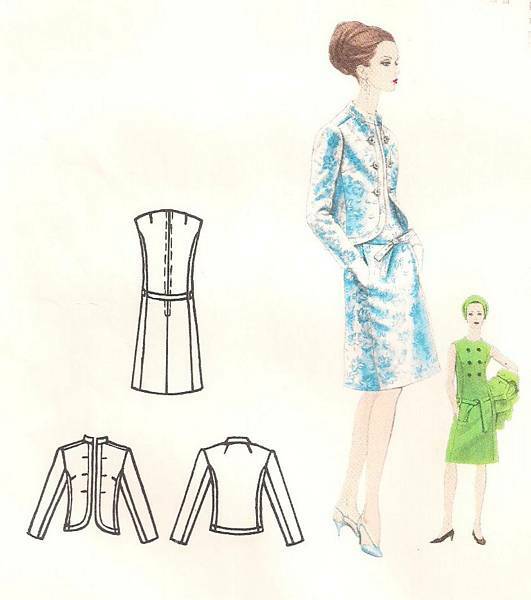 Vintage Vogue Paris Original pattern. Sleeveless dress has low belt extending through slots to tie in front. Double-breasted button trim. Shaped cutaway jacket, which buttons onto dress, has shaped standing collar and long sleeves. Trim stitching.